Garbage Disposal | Ken Neyer Plumbing, Inc.
Last month we wrote a blog about handling your garbage disposal as the big holiday season kicked in with Halloween. It’s almost Thanksgiving, which is one of the biggest days of the year for professional plumbers. You can probably imagine why: the amount of cooking, cleaning, and food disposal in the kitchen can create clogs and broken appliances. We’re glad to keep busy helping people with their plumbing repairs in Cleves, OH—it’s what we’re here for, after all. But we understand how important time with your family is during this holiday, and we don’t want you to spend a chunk of it dealing with a plumbing emergency. 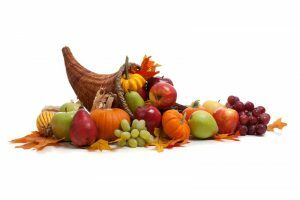 So here are a few pieces of Thanksgiving Day advice for keeping all your kitchen’s plumbing healthy, not just the garbage disposal. November and December are months of the year when professional plumbers are busier than usual. And the reason is a straight-forward one: kitchen plumbing is almost “under assault” during this time because of the holidays: the feasting, the cooking, the guests. 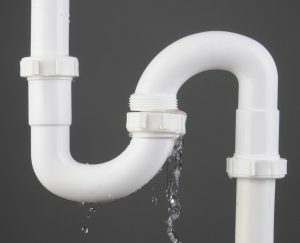 Kitchens are at their busiest at the end of the year, and no part of the kitchen plumbing is in as much danger as the drainage system (which includes the kitchen sink disposal as well as the drain). We’re always ready to help you when you need kitchen sink plumbing assistance. But we also have families and we understand that nobody wants their holiday feasting interrupted because of a clogged up kitchen drain or busted disposal. So to help you avoid these hassles in the first place, we’re going to take a closer look at what threatens your kitchen sink drain. The more you know, the less likely you’ll run into an untimely plumbing emergency. The last three months of the year pack in the holidays close to each other, and parties and feasts are a big part of all of them. You’ll probably do a good share of entertaining at your home during the end of the year, and we want to remind you about how to best treat your garbage disposal during the festive season. One tough Thanksgiving dinner can wipe out a sink disposal that’s already has a few years behind it. But if you’re careful, there’s no reason you shouldn’t have a disposal that keeps pace with you through to the New Year—and beyond. Last week we wrote about backups in sewer lines, which are potentially a huge problem in a home. 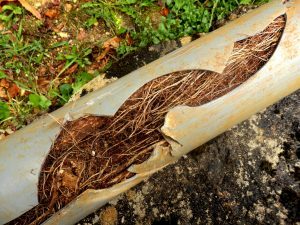 We looks at trouble from aging sewer line material, issues that can occur in the municipal sewage system that can end up creating a backup, and the common tree-root infiltration trouble. This week we’d like to take another look at the sewer line and some of the other problems it can experience at the end of the summer. We hope you don’t have any emergency issues with your sewer line in Cincinnati, OH at this time of year, but you can always depend on our professionals for the help you need should trouble arise. We have 24-hour service for these emergency periods. Your garbage disposal made it through Thanksgiving. That’s great! Now it has another series of holiday feasts to deal with. That means there’s a higher chance of something going wrong with it. Any plumber will tell you that one of the major calls they receive during the end of the year are repair calls for disposals. Although we are always glad to help you out when your plumbing is in trouble, we’d also like you to have a peaceful holiday season, so we’re offering you some advice about seeing your disposal get through the end of the year in great shape. Don’t pour ice down it to “sharpen the blades”: Here’s a piece of advice drifting around for years that has no basis in fact. Ice cubes will not sharpen the blades of a disposal and help it better chop food—because the disposal doesn’t have any blades! It uses dull impellers to push food into an outer grind ring. Hard ice cubes have a chance to damage the disposal. 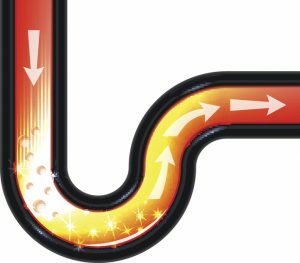 Run cold water down the disposal: Yes, hot water is better for cutting through grease, but grease shouldn’t go down the disposal either. (See the next point.) Hot water is more likely to cause parts of the disposal to overheat, so use cold water when it’s time to rinse out and run the disposal. Keep fats, oils, and grease out of the disposal: Collectively known as “FOG,” these byproducts of cooking are extremely hazardous to disposals—as well as the plumbing in general. In liquid form, they appear harmless. But they won’t stay in liquid form long. 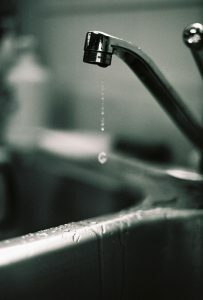 As they cool, they congeal into solids, and this can seriously clog up the disposal as well as the drain. Avoid putting fibrous foods in the disposal: This includes onions, asparagus, and anything else that’s “stringy.” The fibers of these foods can become entangled in the mechanical parts of the disposal and cause it to break down. Only call professional plumbers for repairs: If you do encounter trouble with the disposal, don’t tinker with it yourself (and don’t put your hand down it). Our licensed plumbers are here to see that the problem is fixed, fast and right. Ken Neyer Plumbing, Inc. is ready to help you with all your plumbing needs in Cleves, OH this season. We’re on duty 24 hours a day! Tips for the Holidays and Your Garbage Disposal! Mid-October is the signal for the beginning of the “Holiday Home Stretch” for the end of the year. Major holidays start piling up, and many of holiday celebrations involve food. Plenty o’ food. Although this means fun times with family and friends and a delicious range of delights from main courses of turkey to piles of candy, there’s one part of your home that goes through a major test at this time of year: the garbage disposal. In fact, calls about garbage disposal problems are among the most frequent calls that plumbers receive during the last three months of the year. Posted in Drain and Sewer | Comments Off on Tips for the Holidays and Your Garbage Disposal! If your kitchen is like most modern kitchens, it has a garbage disposal in the sink to help hygienically remove food waste. Disposals make life in the kitchen much easier, and they also help keep food waste from going into landfills, instead sending it into the sewer system and sewage treatment plants.